Prior to entering the AC+D program, I was finding my way back from being laid off from a job in the design/advertising field during the 2008 economic downturn. When I returned to Lagos, taking time to visit my family in Nigeria after 10+ years of gaining an education in the US, I came to the realization that I had so thoroughly assimilated into American culture as a means of self-preservation and had forgotten the joys of a simpler way of life that I had experienced in Nigeria. Craft is present and directly connected to everyday life in Nigeria-clothes handmade by local tailors, visits to open-air markets for that day’s dinner ingredients. Re-understanding that uninterrupted electricity was a privilege that I had now long taken for granted paired with family issues that occurred while I was there - it all hit me hard. It realized that the lay-off had done me a favor. I could not imagine going back to a life of pushing pixels around on a computer for eight hours a day. What I thought was a more secure means of getting a job in the arts had turned out not to be so secure anyway. So, upon my return to the US, I started taking classes in sewing and bookbinding while working retail and taking on freelance design jobs. After a few years of frustrating starts and stops, I realized that I needed a change. Not just from the South where I had been based since I moved to the US from Nigeria as a teen, but an even bigger change in the path towards becoming an artist and craftsperson. 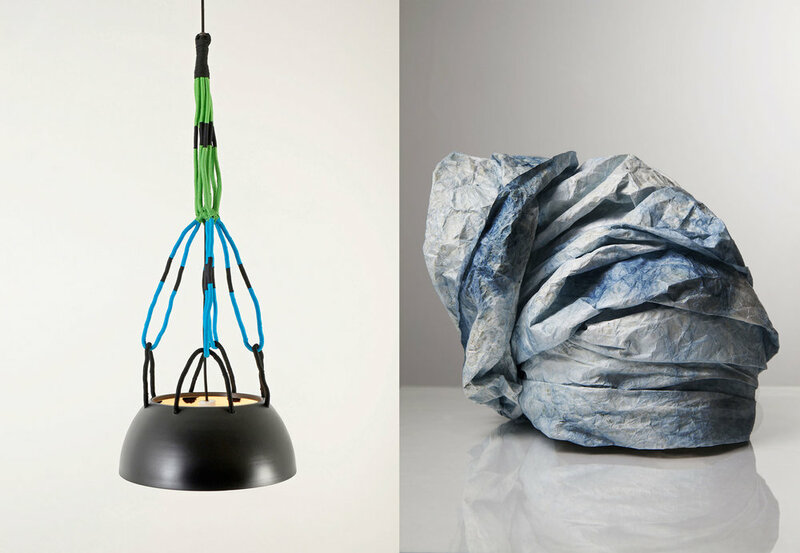 In this time of discontent, I happened upon the MFA Applied Craft + Design program purely by serendipity. I was an avid reader of the Design*Sponge blog at the time and I happened upon a home tour of one of its alumni, Julie Pointer, in which she mentioned that she had attended the program. The name of the program itself appealed to me, something I had been searching for at the time since it seemed to be a mix of my background in design and burgeoning interests in craft and the crafting experience. Reading up on the program helped me make up my mind. I was especially drawn to the program's interests in teaching "design thinking through making" and the idea of haptic feedback from body to mind as a means of tying together these sometimes, thoroughly esoteric mediums was music to my ears. I contacted Julie Pointer, who was kind enough to answer the thoroughly obnoxious amount of questions I asked her and she helped me put the program in perspective by being direct and honest in her responses. I resolved to put together the best portfolio I could for application and held my breath. In retrospect, it was a reckless thing for this planner/list-maker to do since I didn't even apply to any other schools. I guess I had a good feeling about it and once I was invited to interview and connected with the program chair and others, the rest is history. As I mentioned earlier, I was especially drawn to the program's focus on "thinking through making" as I've always been able to think best when I'm making things. Hearing that phrase helped me put a name to the phenomena and to understand what that haptic/tactile exploration of materials can do for my ability to dissect and troubleshoot a problem. I also loved hearing that the program was cross-disciplinary and that I could work across a number of mediums as my explorations demanded, which was helped along by the fact that the program accepts students with backgrounds as disparate as modern dance and biochemical engineering! I learned so much from the diversity of careers and approaches amongst my cohort and even if their fields did not interest me directly, their way of seeing could sometimes nudge a solution along that I had not thought of. I was also really drawn to the fact that it was a mentor-based program and have been very grateful for the mentors I was lucky enough to have in the program who have remained friends and advisers even now. Instructors and mentors in the program were also very adamant about dedicating your first semester to material exploration which was the great eye opener for me. 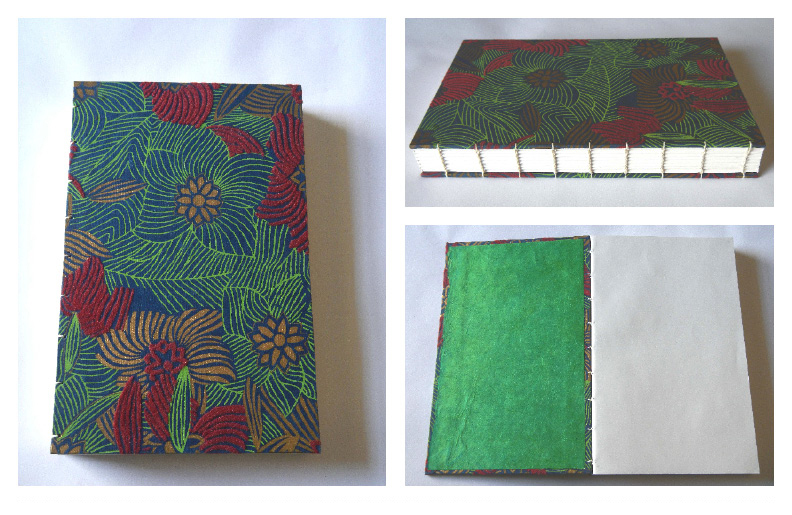 I had come into the program thinking that I would continue my exploration of bookbinding to become a master craftsperson. However from performing material explorations in the first semester, I gained insight into the ambiguity of fibers (paper, cloth, yarn, etc) and how I, a Nigerian American, could use that ambiguity as a metaphor in my work about immigration, cultural identity and cultural displacement. That early lesson resonated with me throughout my time in the AC+D program and while my work (in hindsight) contained a thematic through line, it was also defined by a clear need to explore material as metaphor. I am currently a Visiting Assistant Professor of Printmaking at Maine College of Art. A position I received courtesy of being nominated for the AICAD (Association of Independent Colleges of Art and Design) Fellowship by Heidi Schwegler, the AC+D Chair. I will be in Maine for the 2016/17 school year and possibly beyond. Taking on this position was a surprise to me as I had hoped to be hired by a textile arts department at one of the AICAD member schools, but got hired by a print department instead and it has been an interesting testament to the benefits of the hybridity of my experience at MECA. My printmaking department head mentioned that she hired me partly because my work lacked a narrow definition and showed clear signs of material exploration and a magpie-like use of a variety of techniques including printmaking- which were all lessons she hoped to impart to her students. The work in my practicum (Grow Where You Are Planted) especially spoke to my own hybridity of experience through an investigation into place and materiality that continues to be a source of inspiration to me. Teaching Introduction to Printmaking Techniques this past semester has put me in the dual roles of teacher and student as I am not a trained printmaker and experienced a lot of learning by doing in my own classroom. I have learned so much recently that I can already see how it's bleeding into my personal work. I can't wait to have studio time over the winter break to explore how I might incorporate what I've learned (monoprints, drypoint, low-tech lithography, collagraphy and more!) into my own studio practice. Being an artist and teacher requires the same willingness to be a life-long learner and while I was already a voracious reader and nosey parker who needs answers to everything and loved research, the AC+D program helped me hone it into a skill. A way of seeing and being in the world that I can now wield to create a space for myself, elevate my voice and those of immigrants like me and to impart the joy of making and learning to my students. You wield more power over your education than you think. Grad school comes with certain parameters and rules as every school does but if there are techniques, methods, language, voices/mentors that you are not receiving within the confines of your program, seek them out on your own and fight to include them in your process, your committees, etc. AC+D is a hybrid program that is best suited to those who thrive under self-directed approaches to making and research and luckily that was what I wanted in a grad program. However, my experience as a person of color in the program with very few people who could relate to my lived experience was hard at times. I had to have a backbone and learn how to speak about my work intelligently and often, defend it's right to exist and why my voice, my work needed to be heard. That is something that not all grad students even have to consider. That privilege was not automatically extended to me. I fought for it, by actively seeking advice and opportunities, selecting at least one mentor who was a person of color, helped me see my own inherent biases about the work and by cultivating a seemingly bottomless curiosity about the work of others. If you have something to say, be willing to do the work to bring it to life. You don't owe your audience (teachers, peers or strangers viewing your art) your life story, but you do owe them enough context to elicit their interest, understanding, and empathy and allow them entry and connections with you and your work. A cross-disciplinary grad school like the AC+D program gives you the scaffolding and tools to do that work. The rest is up to you.